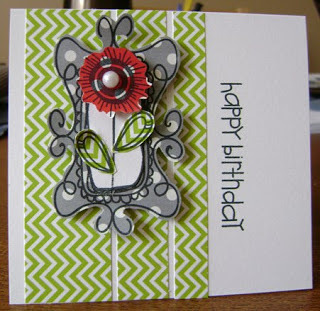 also.. we are announcing TRENDY TWINES new color..
Look at this adorable card Jessica made using it. 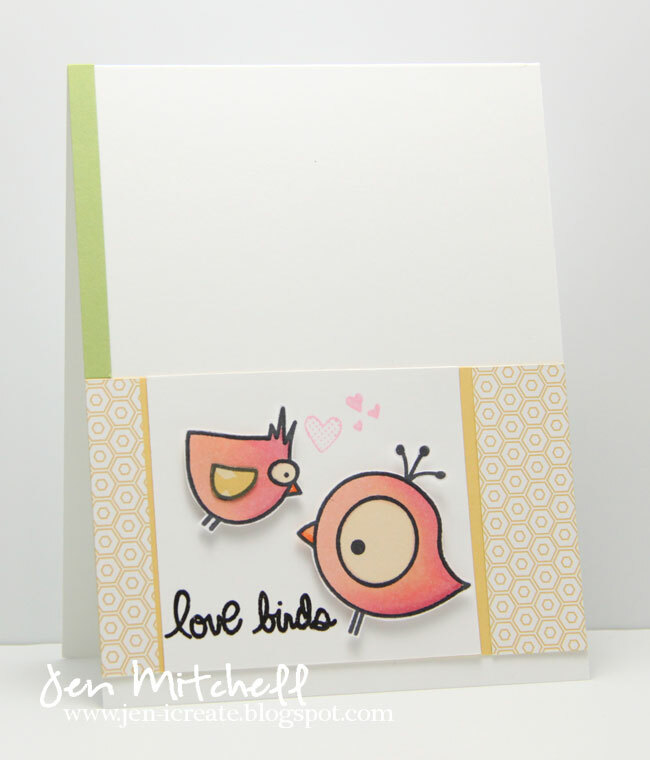 Jessica here with a CAS design using the new release stamp set~ Bird Brain. 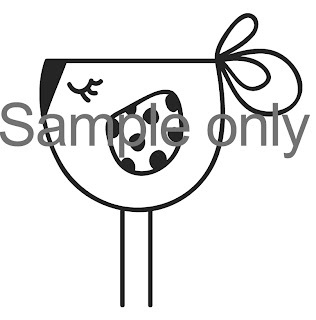 I couldn't help but giggle at this adorable image. Totally needed to stand alone with this great matching sentiment. 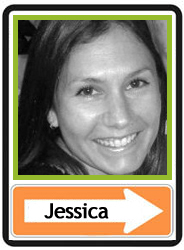 Jen here with my favorite sasquatch! 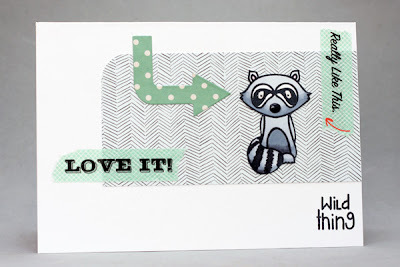 I was so excited when I saw this stamp set, because I've loved Big Foot since I was a kid! I especially love his wide-eyed look! 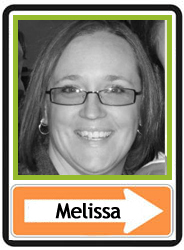 Winner of the BIRD BRAIN set is..
You have until March 30th at 9:00PM TAWS time to leave them..
Good morning!!! We're back with our last SNEAK PEEK! 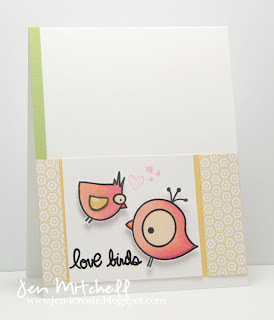 We will have our hop on Tuesday and we'll give away ALL THREE to one lucky stamper! Kim here! 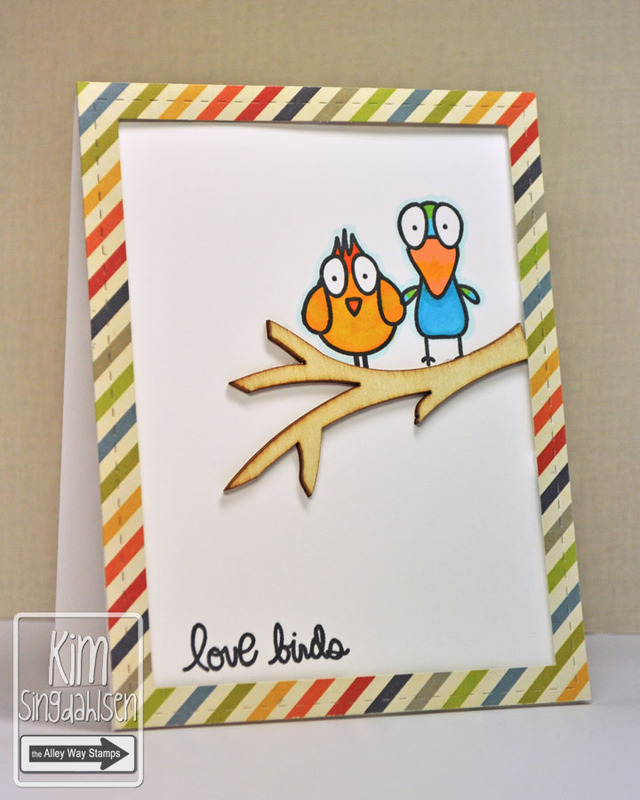 Check out these fabulous birds from Bird Brain. Isn't this just a perfect anniversary card for those that are feeling a little frazzled by life, marriage and kids??! 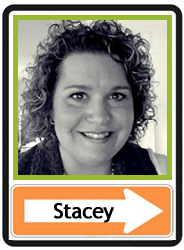 Stacey here with a funny card using the new sneak peek set, Bird Brain! 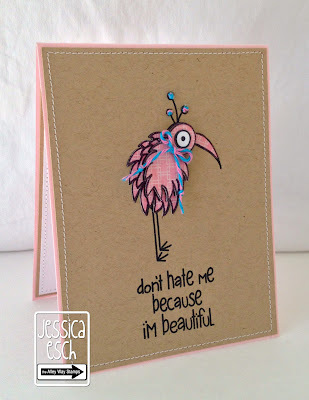 I found myself giggling while coloring this quirky bird and stamping the witty sentiment! Hope you get a giggle out of it, too! 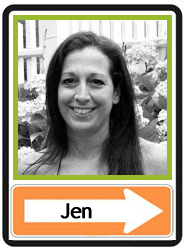 It's Jen here! I think the look on the faces of these adorable birds is just priceless! They're so much in love! I really enjoyed reading some of your holidays - and will definitely be taking a closer look at celebrating the ones that involve flood - LOL! 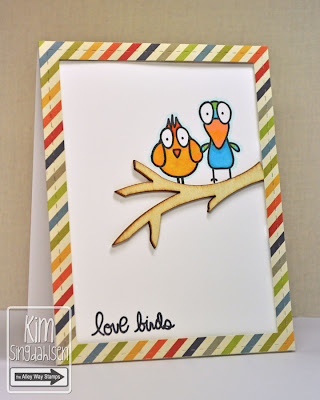 If you were a bird, what kind of bird would you be? Why? Leave your answer in a comment and you could win!!! 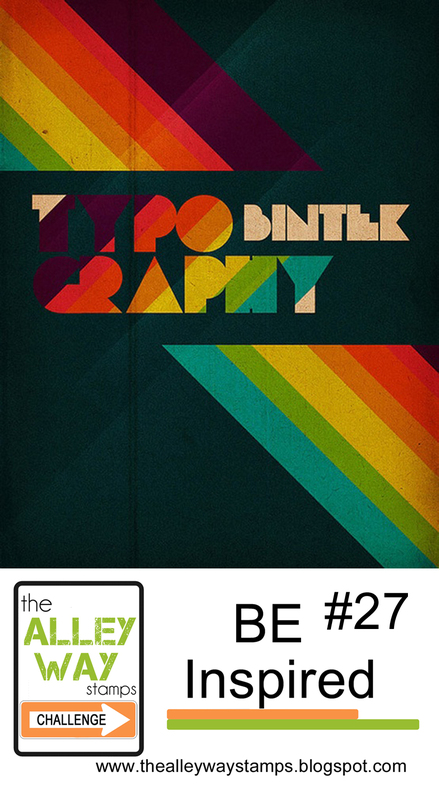 See above for more ways to be entered! Good morning!!! We're back with another SNEAK PEEK! And with sneak peeks come giveaways!!! 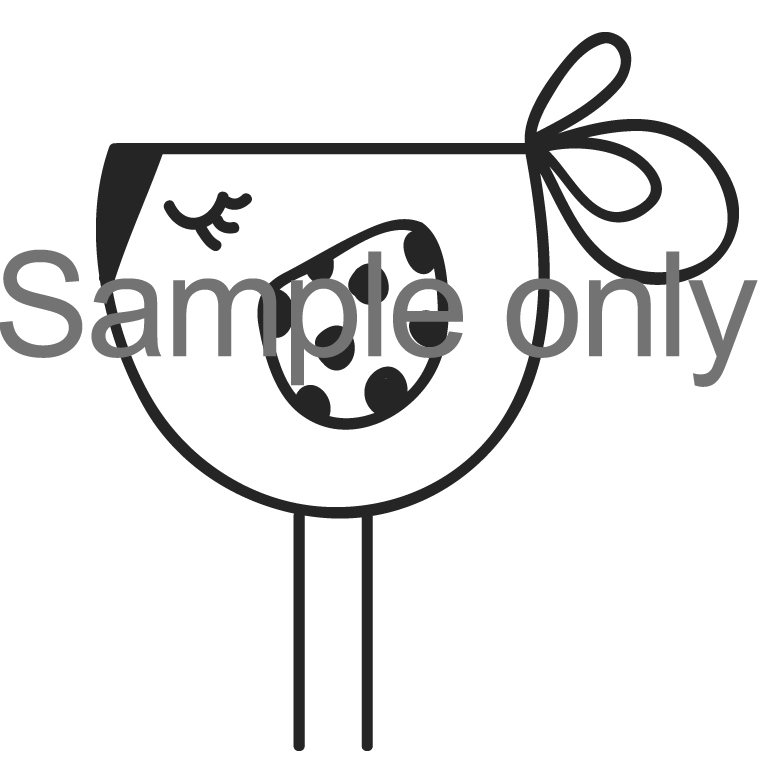 So remember to come back tomorrow because we'll be giving away the last Sneak Peek set. 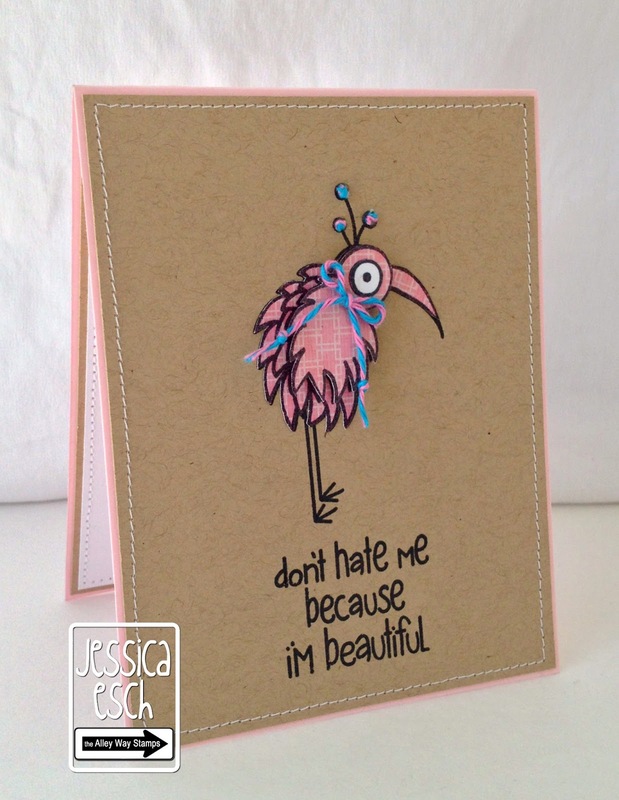 Jessica here with a birthday card using the gorgeous new set Delicate Doilies. Wait until you see all the doilies this set has. They are all so beautiful and unique. 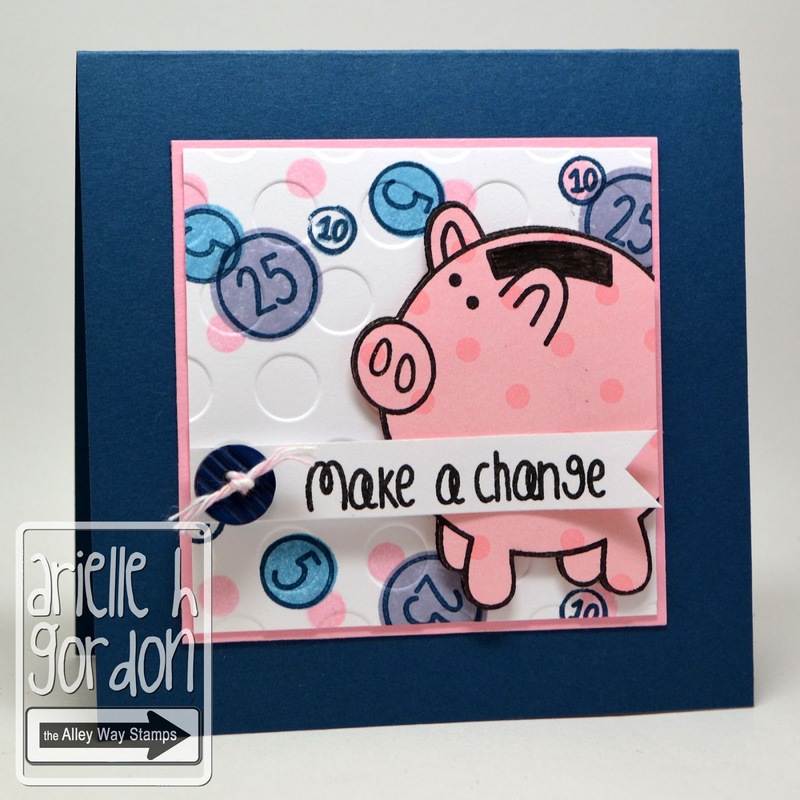 I added the birthday sentiment from one of my all time favorite sets~ Wish BIG! 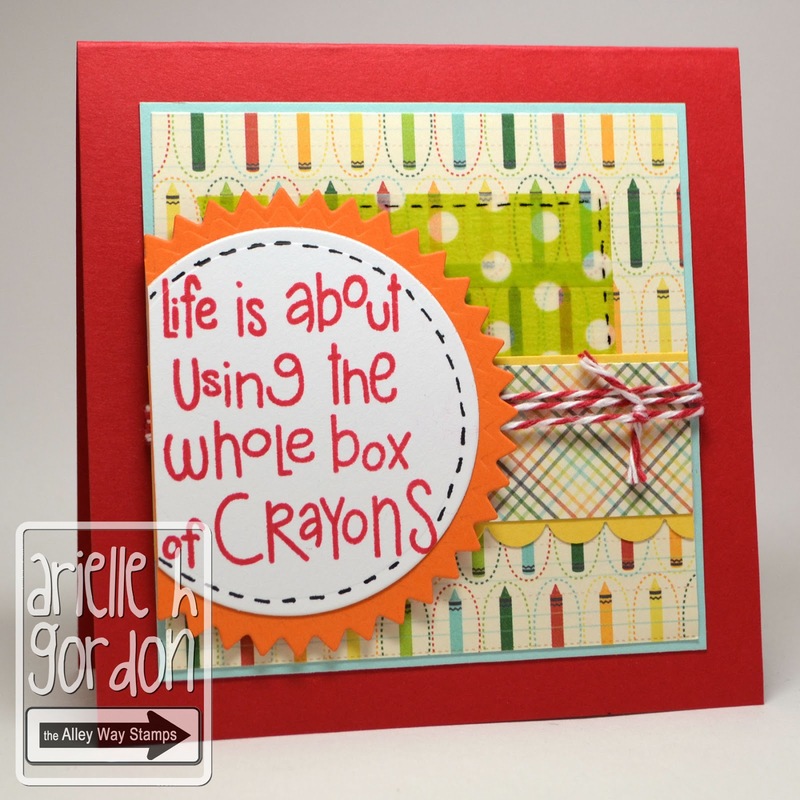 Good morning, Arielle here with my Delicate Doilies Sneak Peek - I LOVE this set!!! It is so much fun! Here's a random question for you.... what is your favorite lesser known holiday? Like, this past week we had National Picnic Day... are there any quirky "holidays" you keep up with? And with sneak peeks come giveaways!!! So remember to come back tomorrow and Monday, because we'll be giving one new set away each day of Sneak Peeks. Hello there! 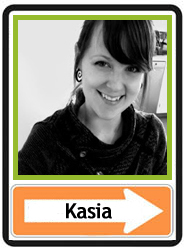 It's Kasia, here to share my sneak peek of the new set, Deep in the Woods. Arielle here with a little peek for you... you are going to L-O-V-E this set!!! 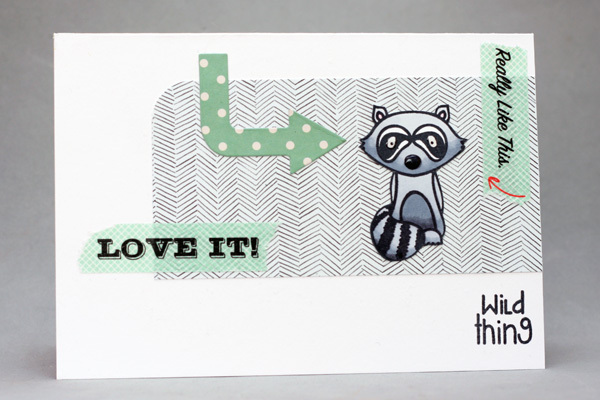 Hi, Christine here with a fun card using the little racoon. I adore him - he's got a stern look, right? 3) - The challenge linky closes on at Noon, TAWS time (Mtn) on Thrusday before the next challenge starts..!!! Stacey here with a colorful, and a little retro, card for today's Be Inspired #27 Challenge. 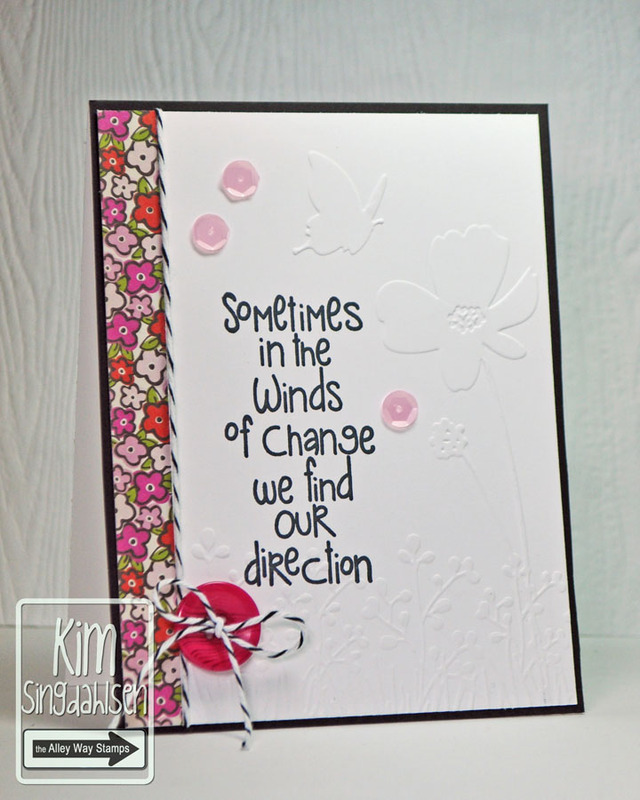 The sentiment is from the Life is Short stamp set. Hello everyone! It's Jen and I was inspired by the rainbow of colors in the inspiration photo, so I created a little rainbow of my own and added an inspiring sentiment from Life is Short. Morning! 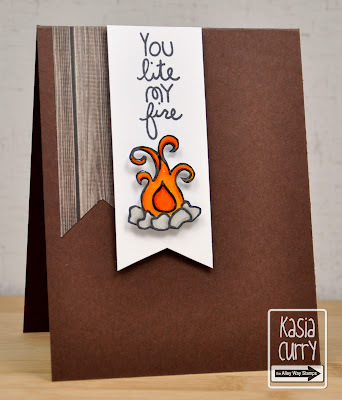 Kasia here with an inspired card using Wish Big. 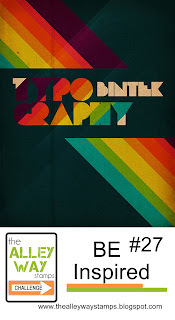 I just loved the colours and that bold diagonal graphic. Good morning! Thanks so much fro dropping by today! Here's a little info regarding the upcoming release over the next few days, so mark your calendar & don't miss out! Saturday April 27 - Sneak Peek Day One & a chance to win that day's set. Sunday April 28 - Sneak Peek Day Two & a chance to win that day's set. Monday April 29 - Sneak Peek Day Three & a chance to win that day's set. Tuesday April 30 - The New Release Hop & a chance to WIN all 3 New Sets!!! Good morning! 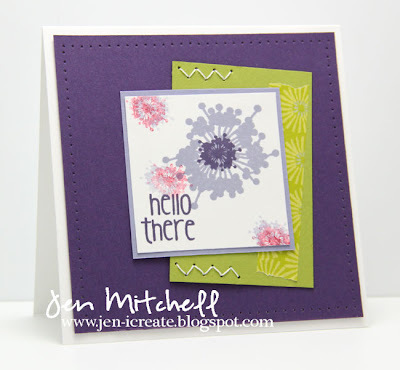 Jen here just popping in with a fun card using my favorite flower from Awesome Blossom and a sentiment from Petal Pushers. 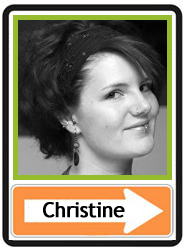 Hi everyone, Christine here with a very CAS card. I LOVE wood veneer - can't get enough of it. 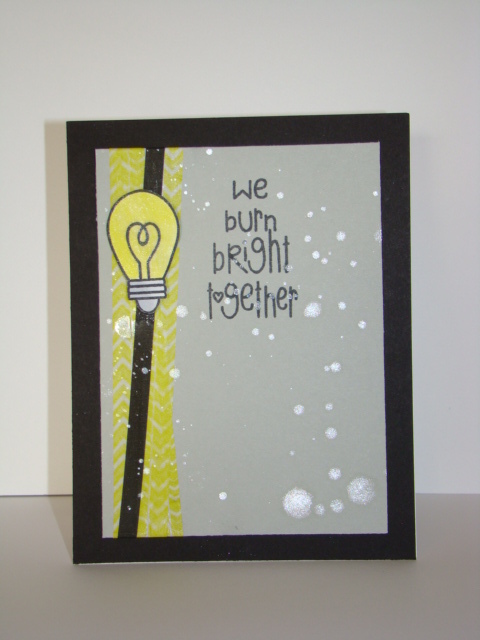 On this card i used with a sentiment from tag-alongs. Morning!! Jessica here with an early Christmas card using the fun image, sentiment and tag stamp from Tag-Alongs. 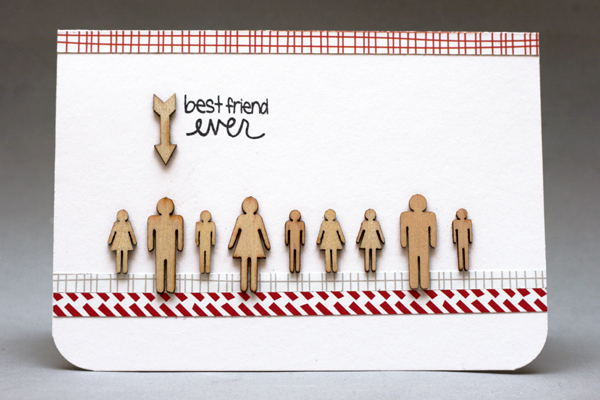 Never too early to start thinking about Christmas cards...right??? Hello everyone! 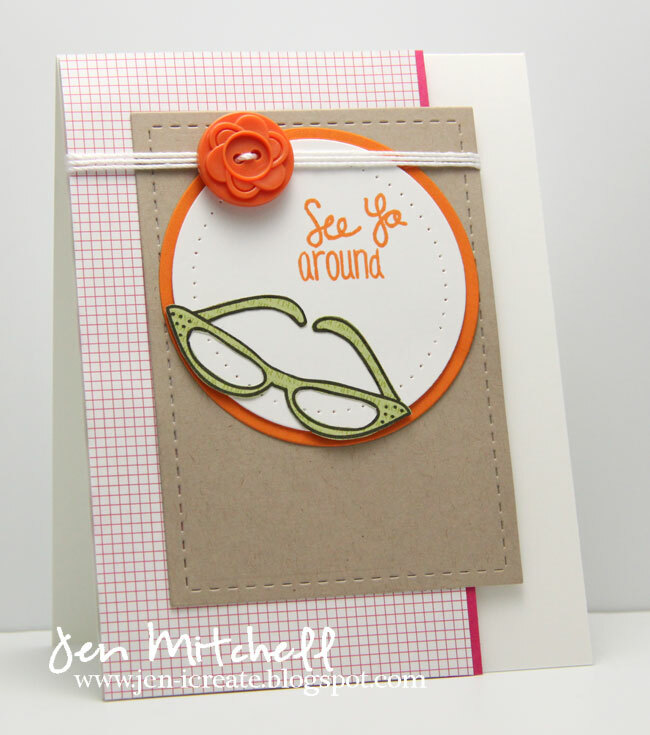 Jen here today with a card that features the coolest retro eyeglasses around in the set AdoraBowl! My mother had a pair just like these, so every time I see this stamp set I just have to smile! 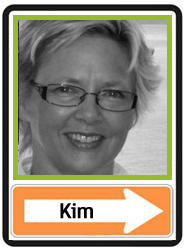 Kim here! 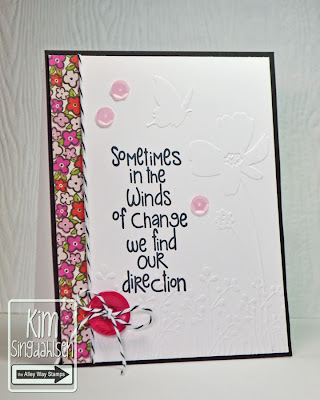 I absolutely love this sentiment so wanted to showcase it with some simple embossing and a few sequins! It's from Life is Short. 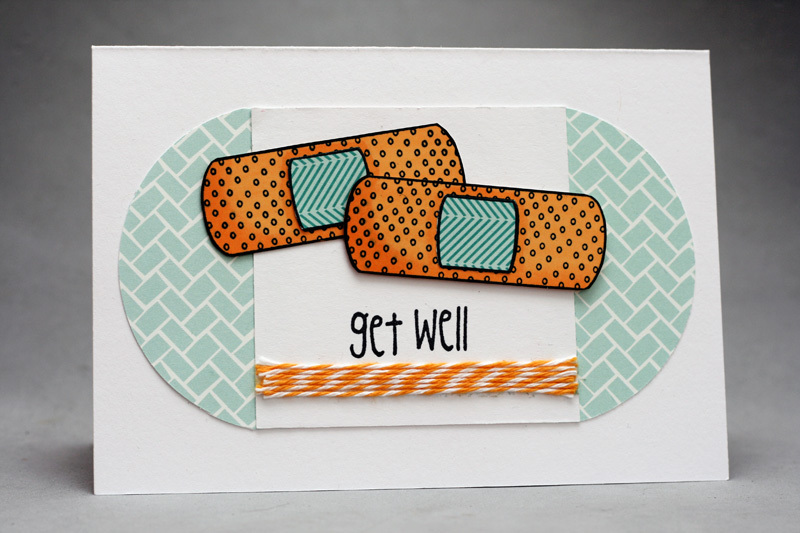 Hi, Christine here with a get well card using Gotta Bug? and Jibber Jabber. 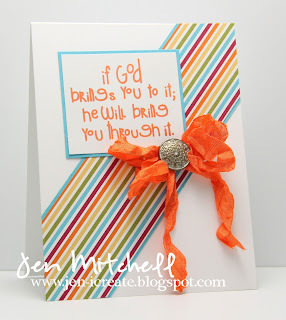 I love the colors from our Be Inspired Challenge. Have you played along already? Stacey here with a fun birthday card using Wish BIG! 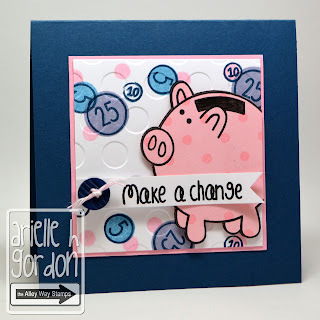 I love the bold patterns of CM's fun card... great layout, too! Here's a great masculine card by Mia - her stamping is flawless! Here's a great winter~ish card by Rose - fun design & I love the stitching! 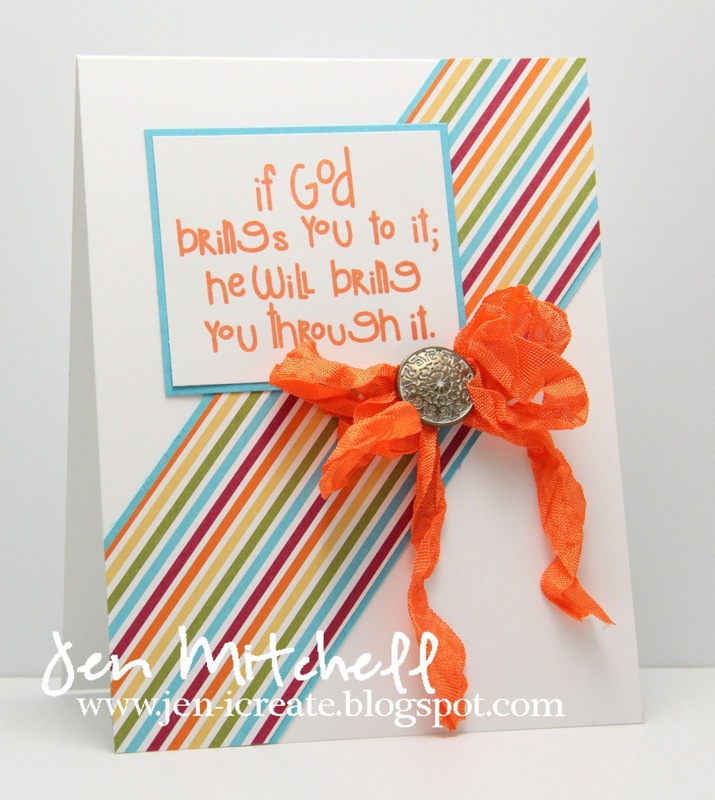 I love this perfect CAS card by Sam - lovin' all the sprarkly goodness! 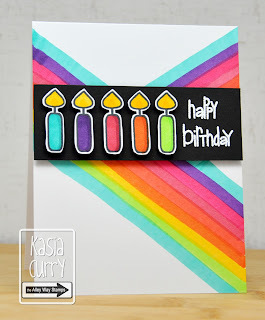 Aren't the colors and patterns in Stephanie's card awesome? Love the button, too! Here are the sets used in the featured cards, you can click on the images to find them in the shop!